I’m a relatively fresh graduate of ELTE. I received my M.A. in English and German Language Teaching in 2017, and I’ve been teaching at Radnóti Miklós Secondary School ever since. I immensely enjoy teaching both languages, but English has always been my number one passion and the centre of my professional interest. A truly eye-opening stay in the U.S. sparked my interest in educating for global citizenship, which paved the way to IATEFL’s Global Issues Special Interest Group where I’ve been a committee member since 2016. I’m in charge of managing our social media platforms, but I’ve also been involved in writing book reviews, summaries of different events, and putting together our latest publication “Global Issues in an Uncertain World.” Due to my interest in working with still and moving images and exploring global issues in class, I was also responsible for setting up an online calendar of special days that gives free access to a growing number of complete lesson plans and activities based on days of global significance. I believe these are all areas where I could make use of my experience, dedication, and creativity as part of the IATEFL-Hungary committee. The international experience I gained as an exchange student in different countries made me realise how much I like interacting with people from diverse cultural backgrounds. After school finishes in June, I use (part of) my summers to work for XUK (UK) and Funside (HU), two organisations offering English tuition to kids in residential camps. In my remaining free time, I’m an enthusiastic conference-goer and an avid presenter at various events on behalf of the GISIG committee and would be more than happy to be a representative of IATEFL-Hungary, too. I have been an English teacher at ELTE Radnóti Miklós Secondary School, Budapest, ever since my graduation in 1993, only leaving it for maternity leave and for the two years I spent in the U.S., teaching English to immigrants. I am also a teacher trainer and head of the English Department at my school. My pet project is finding volunteer native (or non-native) English speakers to take part in the lessons and so help students develop not only their speaking skills but also their intercultural awareness. I also try to follow the world around us and adapt my teaching to the 21st century. This does not only mean using technology, but also gamification, skills development, and a general attempt at trying to change the way students are involved in their learning. I have been involved in several Comenius and Erasmus+ projects, with countries all over Europe from Portugal to Finland. This has given me an international overview of education in general, and English teaching in particular, and has connected me with colleagues all around Europe. Some of these projects involved students, others were about material development or training. I have been a member of IATEFL Hungary for over a decade and have enthusiastically attended several conferences as well as other events of the Association. I thoroughly enjoy meeting colleagues and sharing experiences, and I am convinced that this association has helped me tremendously to avoid (or to turn back) burn-out – a phenomenon I think we need to pay more attention to. During the last year I have been a member of the Committee, my main role being the website maintenance. It is an honour to work for an organisation that has given me so much over the years. is presently a member of the IATEFL-Hungary committee. She graduated from Kodolányi János University College as a teacher of English Language and Literature and a Communication Specialist. She then went on to study for a postgraduate degree in Assessment of Reading Comprehension at University of Szeged and completed her Master studies at University of Pannonia two years ago. In addition to her full time teaching post, she also teaches at a language school in Veszprém. Apart from being a teacher, Barbi is an enthusiastic learner, too- in her own words “I think a good teacher never stops learning, so I support lifelong and lifewide learning as well. I always look for the ways and opportunities to refresh and update my knowledge and skills. I have taken part in a lot of training courses in Hungary and abroad and I felt honored many times representing our association at conferences in the Czech Republic. I am proud of being an alumna of the International Visitor Leadership Program of the US Embassy, and also proud of all those projects I organized or took part in with the Regional English Language Office of the US Embassy during my active committee membership. I also make a point of studying and carrying out research on multicultural issues, such as diversity, segregation and integration, and then implementing the best practices in the English language classroom in order to foster tolerance among our students. - I think there is an undeveloped opportunity among the English teachers in the countryside. As a committee member, I would address and involve them and their institutions in the life of our association. - I would revive the summer courses by finding funds from either the Regional English Language Office of the US Embassy or other possible partners. - As my strength is communication, I would be happy to keep contact with our members and partners to provide more opportunities, to create and maintain more professional contacts at a national and international level. I know that a lot can be done if a good team comes together and we give helping hands when needed, so I will work on creating a strong committee and a strong association. I was born and raised in North London and moved to Hungary, with my two children, in 2007. I did my initial CELTA training in 1998 and have been teaching EFL/ESOL since then. I went on to study for DELTA, PGCE and a Master’s in Education (TESOL). I am currently studying for a PHD in Applied Linguistics with the main area of my research being developing confidence and learner autonomy in a teacher training context. From 1998 to 2007 I taught EFL/ESOL in a North London FE college. This included ESP for a variety of subjects while working with asylum seekers preparing to further their education or join the job market. I also taught on the Certificate of Education as a teacher trainer and acted as a quality manager, carrying out lesson observations and running staff development sessions. One of the roles I particularly enjoyed was my role as student support coordinator, which gave me a real insight into the needs and problems of students and how they can be supported through the learning process. Since moving to Hungary I spent five years teaching in a secondary grammar school and I am currently a teacher and trainer for the English and American studies Institute at the University of Pannonia in Veszprém. I also teach and examine for the British Council Hungary. Since OCTOBER 2016 I have been the International Coordinator and (joint) regional branch coordinator for the IATEFL Hungary organising committee. My most exciting venture to date is the Regional Creative Café, Veszprém, which launched on 5th October, and acts as an outreach café for practicing teachers and trainees who find it difficult to get to Budapest each month. I am really looking forward to how this will develop as we already have a great line up of presentations and workshops for the coming months! I am a “fresh from the oven” language teacher. I work at the Dual Language School in Balatonalmádi as well as at a Veszprém-based language school. I am in my final year of MA studies, and I have a degree in English Philology and Social Studies. At the university, I was lucky enough to be awarded three major scholarships: (1) Köztársasági Scholarship; (2) Scholarship of National Higher Education; and (3) New National Scholarship of Excellence (ÚNKP). Teaching has always been my passion, and I firmly believe in lifelong learning. Besides teaching at schools, I am experienced in 1:1 tutoring and language exam preparation. Ever since I joined IATEFL, I have tried to make the most out of this opportunity: I am a regular at the Veszprém Creative Café, where I have also given a workshop on authentic classroom resources. In addition, I attend the IATEFL-H conference and Winter Warmer every year. Last year, I participated as a junior researcher, but this year, I secured a place for myself among the main conference panel. My experience as presenter comes from various attendances at TOPOS research conferences in Veszprém and I also presented at ELTE’s Australia Day in 2015. I have 3rd places from “TDK” and “ITDK” competitions as well. My main research areas cover a vast range of topics: (1) authentic lesson planning; (2) English teacher-trainee language development; and (3) the native/non-native debate. I worked as president of the Office of International Student Relations at The University of Pannonia, and it is now the third year that I have worked as student officer at our International Office. Thus, I gained valuable skills such as adaptive problem solving, creative thinking, effective communication, and management and organisation. There are, however, some other skills that might come in handy for IATEFL-H: I have basic coding skills for web-editing and can work with Adobe Photoshop efficiently. I am currently doing a UDEMY course on Social Media Marketing, and I am a language learner myself of German and Spanish. My hobbies involve everything mentioned above, and I also like design, music, photography, reading, sports and travelling. I graduated from the College of Nyíregyháza as a teacher of Maths and English in 2010, then I completed my MA in Maths at the same college in 2011 and the MA in English at ELTE in 2012. I have been a teacher of both subjects since my first graduation. I worked in a secondary school in Esztergom for many years, where I gained experience in teaching in various forms of secondary education. I currently work in a secondary grammar school in Budapest where I can get experience in bilingual education. I am interested in various topics in ELT methodology, most recently in the use of technology in the classroom, 21st century skills, exam preparation (both English and Maths), language learning motivation and professional burnout. I recently got interested in teacher training as well. The reason I would like to join the committee is to help IATEFL-Hungary as they helped me avoid burn-out so I could find my way back to my profession. My main aim is to persuade more EFL teachers to join IATEFL and be part of this professional community. I know that many teachers do not feel they need to update their existing knowledge in ELT methodology, but I want to convince them that being part of such community can help a lot to be better teachers and exchanging experience with other colleagues can lead to professional (and international) partnerships and friendships. graduated from the Teacher’s Training College, Jászberény as a lower primary school teacher in 2005. During her studies she attended several teaching contests and national competitions (such as “OTDK”) where she received 3rd place with her research about Hungarian spelling mistakes among third graders. She then realised that teaching is the path for her to follow. Roberta then graduated from Eger as a teacher of English language and literature. This was followed by another professional success: with the support of the Regional English Language Office of the US Embassy she was able to take students to tolerance camp during the summer and with their help she was also able to attend a 50-hour Critical Thinking e-learning course at the University of Oregon in 2012 and a 100-hour Teaching Young Learners course in 2014. Roberta then completed her Master studies at the University of Pécs in teacher education and qualified as a teacher of English language and culture in June. In her own words: “I have been teaching English at a primary level for 12 years. Besides teaching young learners I am interested in the field of teacher’s development and using drama or drama related activities in the English language classrooms. I am also interested in research on how to moderate the gap between 4th and 5th grade. This is going to be the base of my further PhD studies. With the help of my colleague we organize a drama competition every year around April’s Fool Day called M.A.D (Mezőcsokonya Angol Dráma) Day. We invite drama groups from different schools and we have expert judges from theatres and universities or from the US Embassy. is a former member of the IATEFL-Hungary committee. She graduated from Kodolányi János University College as a teacher of English Language and Literature and a Communication Specialist. She then went on to study for a postgraduate degree in Assessment of Reading Comprehension at University of Szeged and completed her Master studies at University of Pannonia two years ago. In addition to her full time teaching post, she also teaches at a language school in Veszprém. 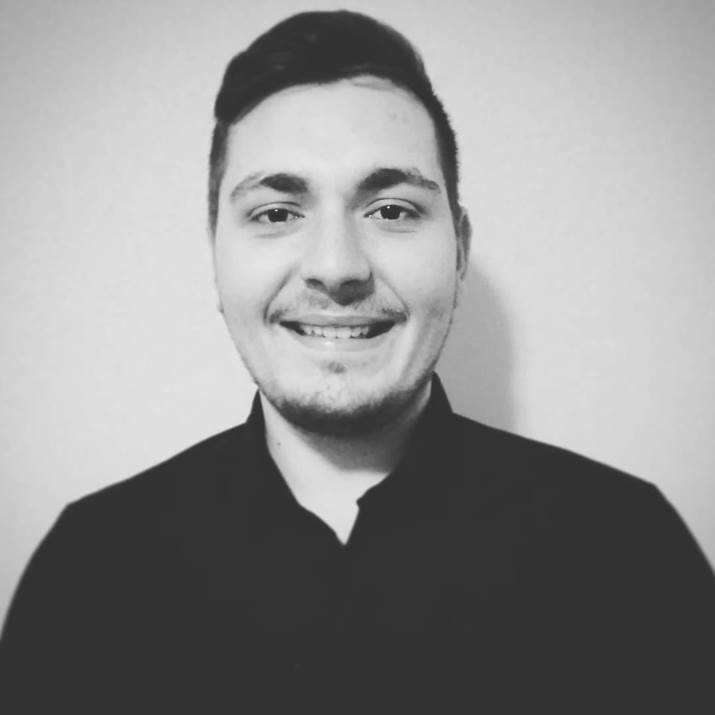 has been working as an English language teacher since 2013, his first year of MA in ELT studies at ELTE, with experience of teaching adults and teenagers of all age and proficiency groups. While pursuing his PhD in Language Pedagogy studies, he currently works as a teacher at Szabó Lőrinc Bilingual Secondary School and as a temporary lecturer at the Department of English Applied Linguistics at ELTE. His main fields of interest include gaming and language learning, vocabulary acquisition, ICT in language learning, bilingualism and multilingualism in language acquisition, and quantitative research design. is a PhD student, EFL teacher and ELT writer. She has been involved in teaching since 2004, and ELT writing and editing since 2010 in Italy and Hungary. She is a PhD student in Applied Linguistics/TESOL at the Universtiy of Pécs. Her PhD research explores the place and use of multimodal narratives and literature in language education, genre-based pedagogy, art- and text-based curriculum design. She earned a Master of English Language and Literature (British Culture specialization) and TESOL degree from the University of Debrecen in Hungary. She is the co-author of the Helbling Readers Blog. She also edited various graded readers and an exam preparation course. She has taught at the University of Debrecen, and currently she's teaching at the Department of English Applied Linguistics ELTE, Budapest. Her main fields of interest include teaching with literature and the visual arts, adaptations, qualitative research design, multimodal discourse analysis, critical literacy and language development, Legitimation Code Theory, the Sydney-school Reading to Learn methodology and Visual Thinking Strategies. I began my teaching career in Teleki Blanka Gimnázium in Budapest, in 1990 – a few years even before I graduated from ELTE. Surprising as it may sound today, this was a time when qualified English teachers were few and far between. Teaching for a living while learning the art of teaching taught me many valuable lessons, and showed me that anything was possible with a bit of creativity, lots of endurance and hard work. Despite the initial challenges, I have remained involved in ELT ever since then. After a few years working as a translator of fiction, I joined Oxford University Press in 1999. In my 12 years with OUP (first based in Oxford, then in Budapest for the last four years), I worked on numerous secondary, upper-primary and adult coursebooks, support and reference materials. I came up through the ranks of the editorial department starting out as an Assistant Editor before my eventual promotion to Managing Editor for Central Europe and Russia. I started teaching training and conference work along my editorial duties in 2001, and to date I have given seminars in over 30 countries worldwide. After I left OUP, I set up my own publishing services company, Consonant Kiadó, in 2012, and I currently work as a freelance ELT author, teacher trainer, editor and consultant for hire. I co-authored two editions of the Achieve coursebook series (for OUP), the exam course Straight to Advanced (for Macmillan) and wrote Teacher’s Books for Project 4th edition (for OUP), Ready for Advanced (for Macmillan), and the Think andCitizen Z series (for CUP). I believe IATEFL-Hungary, as a membership organisation, plays a vital role in bringing practitioners together to share ideas and opinions, in helping them to develop professionally and in allowing them to form professional networks. I also believe it could play a more active role in representing the profession’s interests and in becoming a more pro-active partner in educational legislation. I hope to contribute to the development of the organisation using my extensive international experience and network of professional contacts to help IATEFL-Hungary adapt and apply the best practices of other similar membership organisations from around the world. I also believe my skills and first-hand experiences in materials development will also be an asset in forging a closer partnership between publishers, educational institutions and teachers themselves through IATEFL-Hungary. Beatrix has been a member of the committee since 2011. She works as a language teacher and a teacher trainer at the Language Pedagogy Department at the School of English and American Studies, ELTE University in Budapest. She is pursuing her PhD studies in Language Pedagogy. She has extensive experience in teaching children of all ages (VYL, YL, lower and upper primary, teenagers) and adult learners. As a teacher trainer, she gives talks, workshops and courses in Hungary and other countries either on YL methodology or using art in ELT. Her interests include holistic education, using art in foreign language teaching, mother-tongue influence on second language acquisition, language teaching methodology, child and teacher development and salutogenesis. Frank Prescott studied English at the University of St Andrews in Scotland, graduating with an MA degree in 1988. In 1993 he received a PGCE in English from the University of Heriot Watt. He has been teaching English ever since, first of all in secondary schools in Edinburgh, and then as a lector at Eötvös Loránd University and currently as a senior lecturer in the English Department at Károli Gáspár University, Budapest. He completed his PhD in Language Pedagogy in June 2014, focusing on the experience of first-year students learning to write at university. 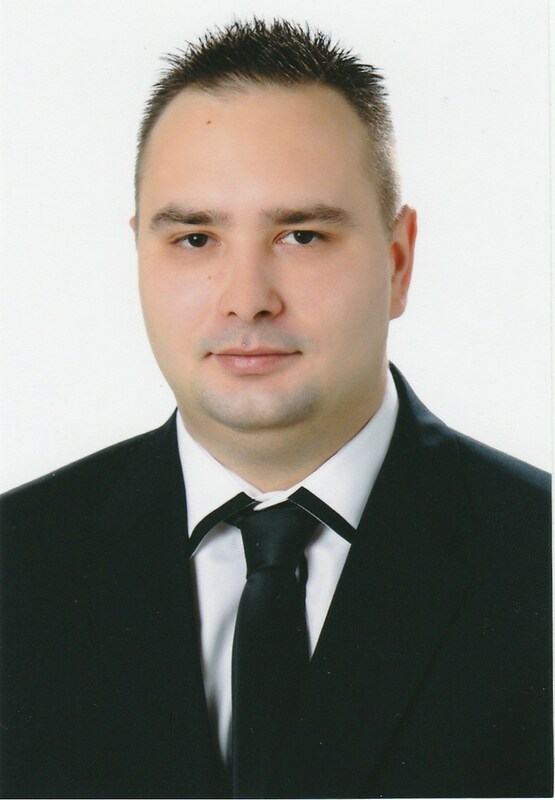 Since 2011 he has been on the organising committee of IATEFL-Hungary and is presently representing IATEFL-Hungary on the Cooperation in Teaching Associations (CITA) Erasmus+ Project which began in 2014, involving members of teaching associations from Hungary, Lithuania (LAKMA) and Mallorca (APABAL). The project aims to promote the mutual development and modernisaton of teaching associations in Europe. Anikó has been involved in EFL teaching for almost twenty years. She studied English Language and Literature at ELTE where she graduated with an MA degree in 1994. Years of private teaching followed while she dedicated most of her time to raising her four children. In 2007 she started working for the renowned publishing house Longman (now known as the global educational company Pearson) as an ELT Representative. During the 6 years she spent with the company she made contact with hundreds of ELT teachers from all over Hungary, gave numerous workshops and organised conferences and other teacher training events. Since 2011 she has been working as an oral examiner for the Euro Exam. In February 2013 she completed the CELTA at IH, Budapest and in the summer she made use of her freshly acquired diploma teaching in a summer school in England. At present she teaches ESP at the Faculty of Food Sciences at Corvinus University of Budapest. She is a life-long learner, an ardent conference goer or if time and money won’t allow travelling, she will keep herself up-to-date by attending webinars. Her special interests include teaching with technology and teaching young learners. Anna graduated from ELTE two years ago as an English-Italian major student. She has started teaching in Studio Italia, where now she acts Director of Studies. She has been a teacher of English in 'Seniorok Nyelviskolája', a language school focusing on senior language learners. Anna is an enthusiastic conference goer, and she won the Akadémiai Kiadó scholarship from IATEFL-Hungary two years ago. Currently she is a PhD student at ELTE. Judit has been an English teacher at ELTE Radnóti Miklós Secondary School, Budapest, ever since her graduation in 1993, only leaving it for maternity leave and for the two years she spent in the U.S., teaching English to immigrants. She is also a teacher trainer and head of the English Department at her school. Her pet project is finding volunteer native (or non-native) English speakers to take part in the lessons and thus help students develop not only their speaking skills but also their intercultural awareness. She has been involved in several Comenius and Erasmus+ projects. She has been a member of IATEFL Hungary for over a decade and has enthusiastically attended several conferences as well as other events of the Association. Claudia was born and raised in North London and moved to Hungary, with her two children, in 2007. She did her initial CELTA training in 1998 and has been teaching EFL/ESOL since then. She went on to study for DELTA, PGCE and a Masters in Education ( TESOL). She is currently studying for a PHD in Applied Linguistics with the main area of her research being developing confidence and learner autonomy in a teacher training context. From 1998 to 2007 she taught EFL/ESOL in a North London FE college. This included ESP for a variety of subjects while working with asylum seekers preparing to further their education or join the job market. She also taught on the Certificate of Education as a teacher trainer and acted as a quality manager, carrying out lesson observations and running staff development sessions. Since moving to Hungary, she spent five years teaching in a secondary grammar school and she is currently a teacher and trainer for the English and American studies Institute at the University of Pannonia in Veszprém. She also teaches and examines for the British Council Hungary. Her most exciting venture to date is the Regional Creative Café, Veszprém, which launched on 5th October 2016, and acts as an outreach café for practicing teachers and trainees who find it difficult to get to Budapest each month. Szilvia graduated from the University of Szeged in 2001 completing degrees in English and Maths. She has been working as an English language teacher at various levels for almost 20 years in the private sector. She was a supervisor headteacher and trainer for an International language school network and also a BME examiner for 7 years. She was involved in the accreditation of several pedagogic programmes before choosing motherhood. With that she realized the importance of starting to teach English to children at a very early age. She graduated as a Helen Doron teacher in 2009 and in 2012 she became the professional director of Helen Doron English Hungary. She organizes teacher trainings, conferences and successfully runs her own learning centres in Tata and Tatabánya. Her main areas of interest are early childhood development and early language acquisition. She has given several workshops and seminars about the differences of teaching young learners and adults, teaching with stories and entertaining props and song, as well as about the benefits of the new technologies in language teaching. She puts an emphasis on positive reinforcement and motivation. On the other hand, not only being a practicing teacher but also running companies she has gained experience in leadership skills as well. Anna graduated from ELTE two years ago as an English-Italian major student. She has started teaching in Studio Italia, where now she acts Director of Studies. She has been a teacher of English in 'Seniorok Nyelviskolája', a language school focusing on senior language learners. Anna is an enthusiastic conference goer, and she won the Akadémiai Kiadó scholarship form IATEFL-Hungary last year. Currently she is a PhD student at ELTE. .A new member of the committee from this year, Barbara graduated from Kodolányi János University College as a teacher of English Language and Literature and a Comunication Specialist. She also has a postgraduate degree on Assessment of Reading Comprehension received at University of Szeged. Now she is doing her Master studies at University of Pannonia. Barbara is an alumna of International Visitor Leadership Program of the US Embassy. She has been teaching English in a primary school for 13 years now, but also has experience in teaching secondary school students and adults. She loves teaching very young learners. Barbara is keen on lifelong and lifewide learning and she is an enthusiastic conference-goer. She is interested in research on multicultural issues, such as diversity, segregation and integration. László, a teacher of English language and literature and Chemistry, is an educational expert and teacher trainer at the School of English and American Studies, ELTE. He has been involved with several in-service trainings and courses for vocational teachers. His special interest is the application of English language theatre based activities to facilitate the linguistic and personal development of teacher trainees. He has been involved with the development of EFL course books on functional grammar, vocabulary and also on two ESP course books (political science and nuclear sciences). He has been the co-chair and co-organiser of the National English Language Drama Festival in Veszprém ever since he founded it in 2009. Beatrix has been a member of the committee since 2011. She works as a language teacher and a teacher trainer at the Language Pedagogy Department at the School of English and American Studies, ELTE University in Budapest. She has extensive experience in teaching children of all ages (VYL, YL, lower and upper primary, teenagers) and adult learners. As a teacher trainer, she gives talks, workshops and courses in Hungary and other countries either on YL methodology or using art in ELT. Her interests include holistic education, using art in foreign language teaching, mother-tongue influence on second language acquisition, language teaching methodology, child and teacher development and salutogenesis. Nóra has been a member of the committee since 2009. She works as a teacher trainer and an educational expert at the School of English and American Studies, ELTE University in Budapest. She has been involved in several curriculum and materials development projects, runs in-service teacher training courses both in the Hungarian and in an international context. She is the co-trainer and designer of the Multimedia Course offered by IATEFL-Hungary. Her special interests lie in teacher development, e-learning, m-learning, and using ICT in education, which she wrote her PhD dissertation on. Beatrix has been a member of the committee for two years, and now she is the international network coordinator, and she is the contact person for our partner associations. She received her BA in Linguistics, Literature and Russian as a Foreign language from Pécs. She lived in Russia and later in Finland. She then moved to England to study Steiner/Waldorf Education as a full-time student in Sussex. She finished her MA studies at ELTE/DELP, where she received an 'Outstanding thesis award'. She has worked in Waldorf schools in Hungary, teaching English. Bea has many years of experience in teaching children of all ages and adult learners. Currently she teaches young learners at the British Council, she is an online English teacher for Katedra Language School and works at a primary school in Gödöllő. Bea’s interests include holistic education, using art in foreign language teaching, mother-tongue influence in second language acquisition, language teaching methodology, child and teacher development and salutogenesis. Frank has been on the committee for two years, and is the coordinator of the Special Interest Groups and the Regional branches. Frank studied English Language and Literature at the University of St Andrews in Scotland, graduating with an MA degree in 1988. In 1993 he received a Post Graduate Certificate of Education in English from the University of Heriot Watt. He has been teaching English ever since, first of all in secondary schools in Edinburgh, and since 1997, as a lector in the Department of English Applied Linguistics at Eötvös Loránd University in Budapest. He is now in the process of completing his PhD dissertation in Language Pedagogy, focusing on the experience of first-year students of English learning to write at university. A new member of the committee from this year, Barbara graduated from Kodolányi János University College as a teacher of English Language and Literature and a Comunication Specialist. She also has a postgraduate degree on Assessment of Reading Comprehension received at University of Szeged. Now she is doing her Master studies at University of Pannonia. Barbara is an alumna of International Visitor Leadership Program of the US Embassy. She has been teaching English in a primary school for 13 years now, but also has experience in teaching secondary school students and adults. She loves teaching very young learners. Barbara is keen on lifelong and lifewide learning and she is an enthusiastic conference-goer. She is interested in research on multicultural issues, such as diversity, segregation and integration. László, a new member of the committee from this year, graduated as a philologist and teacher of English Language and Literature and Chemistry from PE (then VE) in 2005, he has been a guest lecturer at the English and American Studies Institute ever since. He now works fulltime at the Benedek Elek Faculty of NymE where his major scope of activity is running courses in educational sciences for in-service vocational teachers and running English language drama courses for kindergarten teachers. His special interest is the application of English language theatre based activities in TEFL during training to facilitate the linguistic and personal development of trainees. He completed and defended his PhD dissertation in Language Pedagogy focusing on this field in 2010. He has been involved with the development of EFL course books on functional grammar, vocabulary and he is the author of two ESP course books (political science and nuclear sciences). He has been the co-chair and co-organiser of the National English Language Drama Festival in Veszprém ever since he founded it in 2009. László has been working as a high school teacher, college lecturer, freelance teacher trainer, translator and tourist guide. Besides teaching English and ESP (tourism, business, marketing, logistics and international relations) courses at Budapest College of Communication, Business and Art, he has been conducting workshops and teacher trainings, and presenting papers at conferences. For he majored in English Language and Literature at Pázmány Péter Catholic University (PPCU), and specialized in American, Canadian and Australian Studies (University of Manitoba, Canada; Universität Trier, Germany; PPCU, Hungary) as well as Foreign Language Teaching Methodology (PPCU, Hunter College, City University of New York) his research has mainly focused on diverse ways of incorporating culture studies, cross-curricular teaching, CLIL and intercultural education into FLT. László has gathered considerable experience in these fields teaching at various types of institutions (orphanage, summer camps, adult education institutions, private language schools, school for SNE students) and being granted multiple scholarships all around the world (Egypt, Holland, USA, Canada, Italy, Ireland, Argentina, Germany, Austria, Slovenia, Croatia, Serbia). Besides teaching, he has also been studying multilateral and economic diplomacy, and been absorbed in migration studies lately. ldikó graduated from ELTE as a philologist and teacher of English and she also has a CELTA. She has been teaching general and business English since 2006 and gained experience especially in teaching adults. Besides one-to-one teaching mainly in her hometown, Albertirsa, she works as a freelance teacher at language schools and educational institutions in Szolnok and Budapest. She adores group-teaching. Ildikó is a dedicated conference-goer and is quite interested in professional development that is how she got to know IATEFL a few years ago. Her main interests are teaching adults, life-long learning, L2 motivation, teacher development and everything that is British. Kati is a teacher of English and Russian, and has been working for Fast Business Communications for more than 17 years now. She has gained experience in teaching secondary school students in bilingual classes of Károly Gundel Secondary school for Catering and Tourism. She is also a tourism expert and an educational manager. She has been involved in the advanced level of final examination in English language since the new system in 2005, and is a freelance teacher, too. A new member of the committee from this year, Anikó has been involved in EFL teaching for almost twenty years. She studied English Language and Literature at ELTE where she graduated with an MA degree in 1994. Years of private teaching followed while she dedicated most of her time to raising her four children. In 2007 she started working for the renowned publishing house Longman (now known as the global educational company Pearson) as an ELT Representative. During the 6 years she spent with the company she made contact with hundreds of ELT teachers from all over Hungary, gave numerous workshops and organised conferences and other teacher training events. Since 2011 she has been working as an oral examiner for the Euro Exam. In February 2013 she completed the CELTA at IH, Budapest and in the summer she made use of her freshly acquired diploma teaching in a summer school in England. At present she teaches ESP at the Faculty of Food Sciences at Corvinus University of Budapest. She is a life-long learner, an ardent conference goer or if time and money won’t allow travelling, she will keep herself up-to-date by attending webinars. Her special interests include teaching with technology and teaching young learners. A new member of the committee from this year, László has been working as a high school teacher, college lecturer and translator. He has been teaching English and ESP (tourism, business, marketing, logistics and international relations) courses, conducting workshops and presenting papers at various conferences in Europe and the Americas. Since he majored in English Language and Literature, and specialized in American, Canadian and Australian Studies as well as FLT Methodology, his research has mainly focused on diverse ways of including culture studies, interdisciplinarity, CLIL and intercultural education in FLT. Nóra has been a member of the committee since 2009. She works as a teacher trainer and an educational expert at the School of English and American Studies, ELTE University in Budapest. She has been involved in several curriculum and materials development projects, runs in-service teacher training courses both in the Hungarian and in an international context. She is the co-trainer and designer of the Multimedia Course offered by IATEFL. Her special interests lie in teacher development, e-learning, m-learning, and using ICT in education. Norbert is an English language teacher, mentor and teacher educator. He has a BEd in English Language Teaching (CETT), an MA in English Language and Literature (ELTE) and an MEd in Teacher Education for ELT (Exeter). He has worked as a secondary school, language school and private teacher of English since 2003. 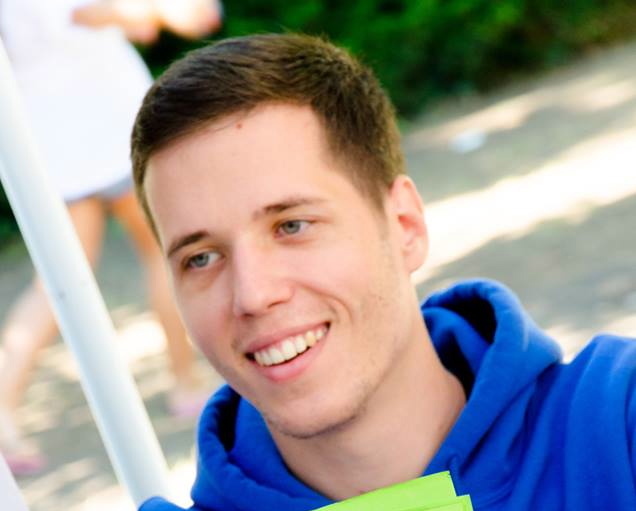 He works as a part-time lecturer at Budapesti Kommunikációs Főiskola and as a freelance ELT professional at various language schools in Budapest. His current research focuses on developing and running associations for language teachers. Beatrix has been a member of the committee for a year. She received her BA in Linguistics, Literature and Russian as a Foreign language from Pécs. She lived in Russia and later in Finland. She then moved to England to study Steiner/Waldorf Education as a full-time student in Sussex. She finished her MA studies at ELTE/DELP, where she received an 'Outstanding thesis award'. She has worked in Waldorf schools in Hungary, teaching English. Bea has many years of experience in teaching children of all ages and adult learners. Currently she teaches young learners at the British Council, she is an online English teacher for Katedra Language School and works at a primary school in Gödöllő. Bea’s interests include holistic education, using art in foreign language teaching, mother-tongue influence in second language acquisition, language teaching methodology, child and teacher development and salutogenesis. Edit graduated as a teacher of English and Hungarian Literature and Linguistics in 1997, since then she has been teaching in a grammar school in her hometown, Vác. Feeling the need for professional development, she became an enthusiastic conference-goer and organiser. She had the chance to take part in the British Council teacher-trainer in-service course. She did her post-graduate course at Pécs University in 2007. Presently, she is doing a two-year course at ELTE PPK. Besides hers tate school career, she teaches in language schools, does one-to-one teaching and teacher training. Frank studied English Language and Literature at the University of St Andrews in Scotland, graduating with an MA degree in 1988. In 1993 he received a Post Graduate Certificate of Education in English from the University of Heriot Watt. He has been teaching English ever since, first of all in secondary schools in Edinburgh, and since 1997, as a lector in the Department of English Applied Linguistics at Eötvös Loránd University in Budapest. He is now in the process of completing his PhD dissertation in Language Pedagogy, focusing on the experience of first-year students of English learning to write at university. Ildikó graduated from ELTE as a philologist and teacher of English and she also has a CELTA. She has been teaching general and business English since 2006 and gained experience especially in teaching adults. Besides one-to-one teaching mainly in her hometown, Albertirsa, she works as a freelance teacher at language schools and educational institutions in Szolnok and Budapest. She adores group-teaching. Ildikó is a dedicated conference-goer and is quite interested in professional development that is how she got to know IATEFL a few years ago. Her main interests are teaching adults, life-long learning, L2 motivation, teacher development and everything that is British. Zsuzsa has been a member of the committee since January 2008. She works as a practising teacher at Szabó Lőrinc Bilingual Primary and Secondary School in Budapest. She has worked as a mentor of English language teacher trainees. She has been involved in a materials development project. She has been a committee member and project coordinator of the working group dealing with disadvantaged youth for 6 years at Útilapu Hálózat, the Hungarian Branch of Service Civil International, an international peace organisation dealing with peace education and organising voluntary workcamps. Anna is serving her third year as committee member and also coordinates the work of the different Special Interest Groups of IATEFL-Hungary. She has a CELTA, DELTA, and an MA in Teaching English Language and Literature. Anna is currently working as Director of Studies at International House Budapest. Teaching young learners and using technology in the classroom are her two main interests, but she also enjoys being involved in materials design and in-service teacher development. Nóra has been a member of the committee since 2009. She works as a teacher trainer and an educational expert at the School of English and American Studies, ELTE University in Budapest. She has been involved in several curriculum and materials development projects, runs in-service teacher training courses both in the Hungarian and in an international context. She is the co-trainer and designer of the Multimedia Course offered by IATEFL. Her special interests lie in teacher development, e-learning and using ICT in education. Bea gained her first degree in Pécs as a BA student in Hungarian and Russian; lived in Russia, later in Finland. Then she studied Steiner/Waldorf Education as a full-time student in Sussex, England. She finished her MA studies at ELTE/DELP, where she received an 'Outstanding thesis award'. Currently Bea teaches upper primary classes at the Gödöllő Waldorf School, but she also works as an online English teacher for Katedra Language School. She has experience in teaching all ages and stages. Her main interests are: ELT Methodology, Teaching English through Art, Child & Teacher Development, Holistic Education and Salutogenesis.